Whether she was singing pop-friendly urban soul or acting in her own family-oriented sitcom, Brandy's winningly wholesome persona helped catapult her to stardom during her teenage years. She scored the longest-running number one female duet in chart history (teamed with Monica on "The Boy Is Mine"), a testament to her mainstream appeal, and she spent several years as the title character on Moesha, the top-rated series on the fledgling UPN network during the late '90s. As she grew older, her music increasingly mined the middle ground between urban R&B and soft adult contemporary pop, and thanks to her consistent exposure in other arenas, it became more popular than ever. Brandy Rayana Norwood was born February 11, 1979, in McComb, MS, and began singing in church at age two. When she was four, her father was hired as music director at a church in Carson, CA, and after singing a few years later, she decided to pursue a professional singing career, inspired by Whitney Houston. With the help of her family, she began hunting for a record contract, and in 1992 began singing backup for the kiddie R&B group Immature; after enrolling in the Hollywood High Performing Arts Center, she also launched an acting career, appearing in films like Arachnophobia and Demolition Man. She eventually landed a record deal at the mere age of 14 after performing at an Atlantic Records talent showcase; around the same time, she won a supporting role on the short-lived ABC sitcom Thea. In 1994, Brandy released her self-titled debut album, which immediately produced Billboard Hot 100 Top Ten smashes in "I Wanna Be Down" and "Baby," both of which hit number one on the R&B chart; "Brokenhearted" and "Best Friend" went on to smaller successes, and Brandy went on to sell over four million copies during the next several years. She toured with Boyz II Men in 1995, and for a time dated group member Wanya Morris. In 1996, Brandy scored her biggest hit yet with "Sittin' up in My Room," a song she recorded for the Waiting to Exhale soundtrack; it hit number two pop and number one R&B. Early that year, she also debuted on UPN as the star of Moesha, parlaying her musical success into a concurrent acting career. In fact, she took a lengthy hiatus from recording to concentrate on Moesha; apart from "Sittin' up in My Room," her only real activity over the next couple of years was the Set It Off soundtrack single "Missing You," on which she teamed with Chaka Khan, Gladys Knight, and Tamia. In 1997, she branched out by taking the title role in Disney's made-for-TV version of Cinderella, appearing alongside her idol Whitney Houston; the film's star power and integrated cast made it a significant ratings success. Finally, Brandy set about recording her second album. Never Say Never was released in the summer of 1998, and its first single, the Monica duet "The Boy Is Mine," was a mammoth hit, topping the Hot 100 for a staggering 13 weeks. In its wake, "Top of the World" (featuring guest rapper Mase) and "Have You Ever?" were both substantial hits as well, with the latter becoming Brandy's first solo number one Hot 100 hit. Never Say Never spun off an additional three singles -- "Almost Doesn't Count," "Angel in Disguise," and "U Don't Know Me (Like U Used To)" - on its way to sales of over five million copies. Meanwhile, Brandy's acting career continued to blossom; in 1998, she landed her first major theatrical film role in I Still Know What You Did Last Summer, and the following year, she appeared in another TV movie with Diana Ross called Double Platinum. After being hospitalized for dehydration in late 1999, she cut back her schedule somewhat, concentrating mostly on Moesha until the show was canceled in the spring of 2001. The same year, she voiced a character in the animated film Osmosis Jones, and secretly married producer/songwriter Robert Smith. 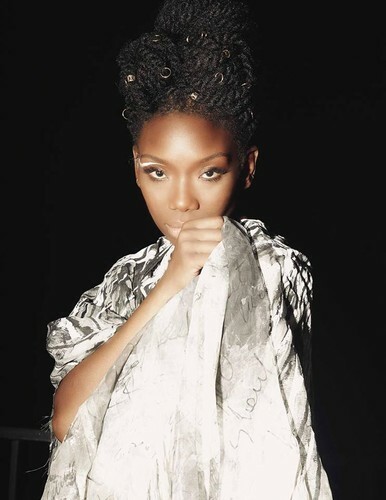 In early 2002, Brandy released her third album, Full Moon, which entered the Billboard 200 chart at number two and spun off an immediate hit in "What About Us?." That summer, Brandy gave birth to her first child, and her pregnancy became the subject of an MTV documentary series. The singer's fourth album, Afrodisiac, was released in 2004. Its lead single, "Talk About Our Love," was produced by Kanye West and peaked at number 36 on the Hot 100. Although the reviews were positive overall, the album didn't sell as well as any of her previous releases and the singer subsequently split from her longtime label. In December 2006, while driving on the San Diego Freeway, Brandy hit the car in front of her -- an accident that killed the driver and caused a four-car chain reaction. She recorded her fifth album, Human, an adult contemporary R&B leaning set that was released in December 2008 and peaked at number 15 on the Billboard 200. It was her lone release for Epic. A couple years later, she starred beside her brother and parents in the reality television series, Brandy & Ray J: A Family Business. A soundtrack of sorts was released in 2011. She teamed up with Monica once more for the single "It All Belongs to Me" prior to the collaboration-heavy Two Eleven, released in 2012. By Steve Huey & Andy Kellman.